In times of drastic reductions of state resources, especially pertaining to culture, creating performance possibilities like running a venue or a festival is often left to the personal commitment of enthusiastic individuals. 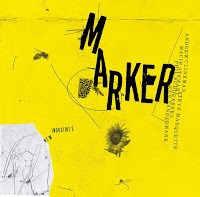 Their work is of inestimable value for the artists. Some examples (among many others) are Alois Fischer, who has been organizing the Kaleidophon Ulrichsberg since 1978 (the festival itself has existed since 1973) and Hans Falb, who has started the seminal Konfrontationen in Nickelsdorf in 1980, as well as Norbert Bach, who has been running the W71 club in Weikersheim since the 1970s. And there is David Mossman, the man behind the Vortex, London’s number one platform for jazz, improvised and experimental music (together with Café Oto, which is actually just five minutes down the road). The club has existed without any core funding after its establishment over twenty-five years ago. Saxophonist Evan Parker, who has had a monthly residency at the club for a number of years, says that the Vortex was "my haven from the demands of the road… (it) is for me a space to play 'free jazz'. I cannot imagine life without it". Parker is so grateful for the existence of the club that he’s organized a fundraiser (with Dave Holland) to give his support, since the club needs financial help to keep its operations going and to enable bands to start a career (prominent examples are Polar Bear and the Portico Quartet). 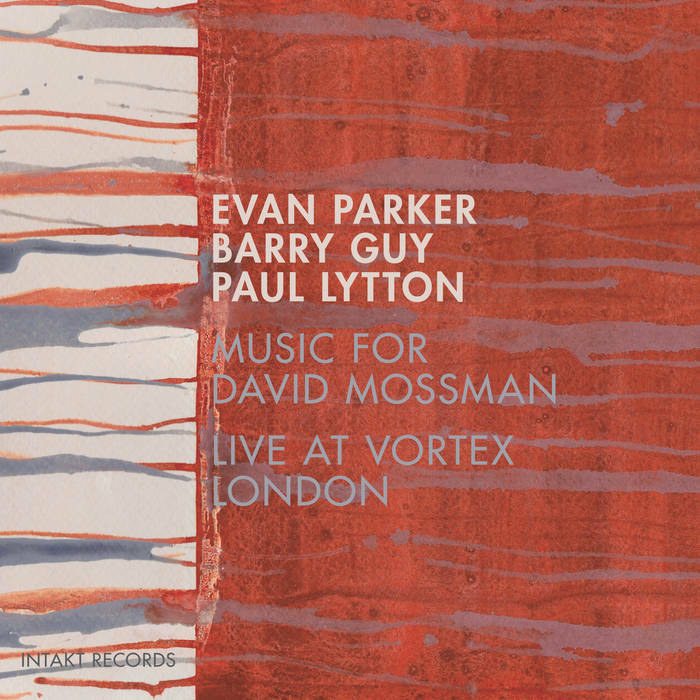 What’s more, Parker and his long time collaborators Barry Guy (bass) and Paul Lytton (drums) have dedicated their new album to Mossman and the club. 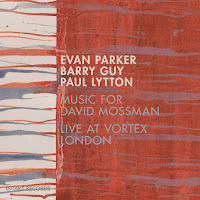 Music for David Mossman starts with Guy presenting his famous gliding-into-the-notes technique, while Lytton surprises with a high-pitched drum set reminiscent of Tony Oxley, his playing being more muscular though. 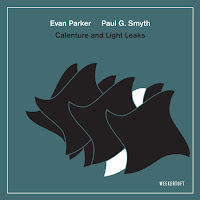 Guy strums thick chords and only after three and a half minutes Parker joins the duo with a surprisingly tonal, traditional melody which pays tribute to great jazz saxophonists like Sonny Rollins and Ben Webster, even a distant echo of John Coltrane is audible. However, he soon changes to his typical style using the well-known Evan-Parker-elements. The band picks up speed but it’s not the classic boisterous approach, it’s a rather subtle one. 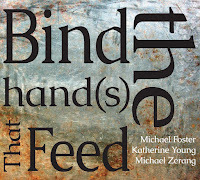 Soon they’re zigzagging some of their signature spontaneous routes, the tension rises and ebbs, opening a transition for circular breathing and circular bowing while Lytton supports Parker and Guy with finely chiseled clatter. The music sounds like someone’s rummaging around in a box of sounding metal. This seems to be a typical album by the trio, providing free jazz on a top level, but nothing new either. Yet, the music offers some artful surprises. Especially the solos by Parker and Guy present an outstanding degree of concentration and resolve, their instruments serve as vessels for their elaborate use of extended techniques. In fact, there’s only one - rather short - Parker solo (when he uses his characteristic circular breathing). 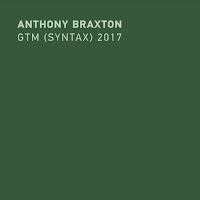 Still, there are two other passages when he takes off for a solo but Guy refuses to leave him soaring alone, he chooses to duplicate his sound with razor-sharp tremolos, overtones and harmonics. The same goes for Lytton, who propels an already cyberspeed Parker solo with cymbal barrage (in “Music for David Mossman III“). The result is music of an incredible density, music that varies harmonies and tempos constantly, music that changes its shape. Hardly ever have these excellent musicians shown such a disposition to integrate their individual sounds and typical patterns to an all-encompassing unity. 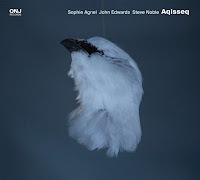 Or, as Evan Parker says in the liner notes: "Collective free improvisation is the utopian state arrived at in that other 'little life' as the late John Stevens called the mental space of music making that happens when musicians of a like mind play freely together." In the last track, "Music for David Mossman IV", this improvisation rumbles, squeals and seethes like on Tracks, the trio’s first recording from 1983. May this band and the Vortex live long! Music for David Mossman is available as a CD and a download.